WestJet has dropped the price of a few of their April flights from Toronto to Bridgetown, Barbados down to $377 CAD roundtrip including taxes. 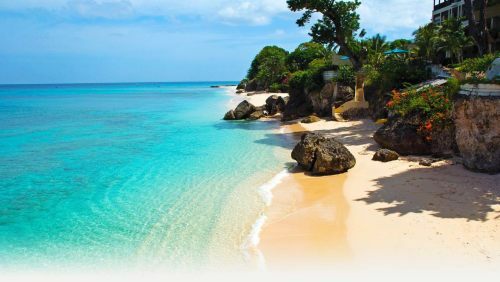 Update 3/21 - Non-stop flights from Toronto to Bridgetown, Barbados can be booked today for $376 CAD roundtrip including taxes. The coupon code that makes this possible is available for today only. Where to stay on Barbados? The map below will show you some great deals on accommodations on Barbados for under $99 CAD/night for 2 people. I've found that Barbados is one of the few Caribbean islands with a high number of reasonably priced Airbnb accommodations. The average price per night is still quite high ($350 CAD), but there are *so* many Airbnb rentals, that it's pretty easy to find well-reviewed places being offered for $50 to $99 CAD per night for 2 people. toronto, yyz, caribbean, westjet, flight deals, southern caribbean, bridgetown, barbados, bgi and windward islands. 4 Responses to "Toronto to Bridgetown, Barbados - $377 CAD roundtrip including taxes | non-stop flights"
I found the same deal on fareboom.com for the same dates! This website is going to cause me to go broke! But hopefully richer in travel experiences! Have a great time in Barbados.